A regular schedule & proper technique. 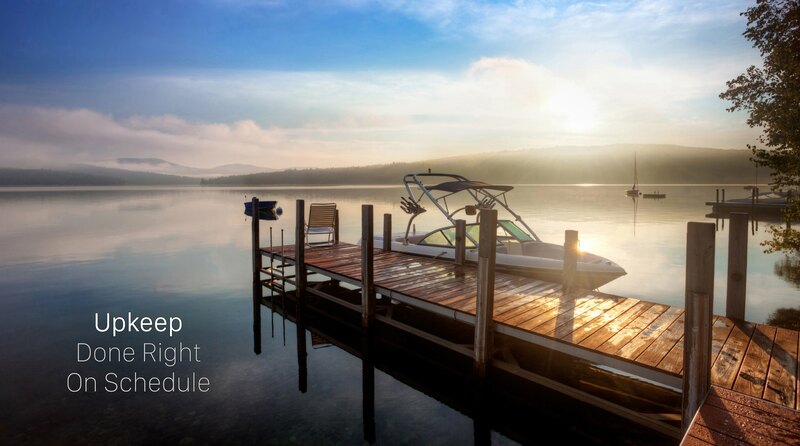 Maintaining your boat is a breeze with a schedule and a few simple tips. As a boat owner, you understand the cost involved in the proper maintenance of your vessel. To reduce your costs, implement the following tips between your regular appointments with your professional boat detailer, and keep your boat looking newer, longer. A consistent boat detailing schedule will go a long way toward preserving the beauty, functionality, and resale value of your vessel. Most boats are exposed to the wear and tear of the elements all the time, even when dry-docked for the winter months. Performing your own routine checkups enables you to spot potential problems that may need immediate action including repairs to upholstery, canvas, and fibreglass, before they become huge issues. A thorough interior cleaning, and an inspection of the hull for cracks and wear are proactive measures you can take to immediately identify any issues that may eventually require the help of a professional. A fresh coat of wax can do wonders for any vehicle, and for boats in particular waxing can preserve your boat’s fibreglass exterior and make it easier for you to do follow-up cleaning on your own. Ask your detailer to walk you though the stages of your boats waxing process if you need some reassurance. To be honest, it is pretty easy to do yourself. Rinse off the boat. Rinsing with freshwater will get rid of contaminates, salt, and minerals that may have accumulated in the seams, hull, and panel gaps on your boat. Even if you’re not going to perform an all-out detailing job, a freshwater rinse is an excellent preventative measure. Clean the exterior with marine grade product. Standard household cleaners are not recommended. These contain high-level alkalies that are not as safe or cost-effective as a marine product. Household cleaners can cause damage to your boat and they may not be environmentally friendly. After cleaning carefully from top to bottom, let the boat dry completely before applying wax. Here’s a cleaning product comparison by Boating Magazine. Pick the right wax product for your needs. Depending on the degree of oxidation to your boat’s gel coat, you’ll need cleaner wax or the more heavy-duty restorer wax. Application methods vary, but you can use a soft cloth or even an electric buffer. Apply the wax evenly, so that it forms an impermeable protective layer over the paint. With these simple tips, you can extend the life of your boat, get more connected to your vessel, and reduce the amount of money you spend on professional detailing.